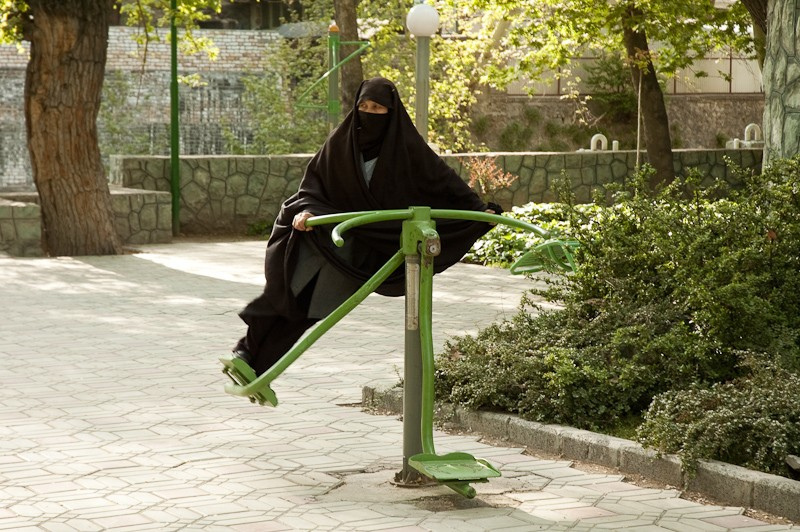 Physical inactivity, a major risk factor for poor health and chronic disease, is becoming increasingly prevalent in high-income Arab countries – and its consequences fall particularly heavily on women. Rapid economic growth in the Gulf states has led to significant lifestyle changes in this region. As in many other developing societies, the widespread use of technology such as cars, television, computers and labor-saving household appliances has encouraged a tendency towards more sedentary lifestyles, while high-calorie foods have also become more readily available and regularly consumed. These changes are reflected in the disease burden currently facing these countries: non-communicable conditions such as diabetes, heart disease, and joint pain have emerged as leading causes of health loss, driven by high rates of overweight and obesity, high blood pressure, and poor dietary practices. Saudi Arabia is one striking example of these trends. While, overall, life expectancy here is increasing and there has been a rapid reduction in maternal and child mortality, tackling the growing epidemic of non-communicable diseases remains an urgent challenge. Obesity, lack of activity, and their associated health impacts affect a large proportion of the population, but they are particularly pressing problems for women. According to the 2015 Global Burden of Disease (GBD) study, administered by the University of Washington’s Institute for Health Metrics and Evaluation (IHME), 43% of Saudi women are obese, compared to 30% of men, and a further 30% are overweight. Compounding this, only a quarter meet recommended levels of moderate or vigorous physical activity and over half do no physical activity at all. Diet is also a part of the picture, with more than 80% of women eating two or fewer servings of fruit and vegetables a day. This is having a worrying effect on their health. The GBD study also shows that overweight and obesity, high blood sugar, and high blood pressure are now the three leading risk factors for premature death and disability for women in Saudi Arabia. Moreover, the premature death and disability attributable to low physical activity increased by 87% between 1990 and 2015. These risk factors are driving a steep rise in related diseases: diabetes, for example, was the ninth leading cause of health loss for women in Saudi Arabia in 2015, a dramatic increase from its spot in 22nd place in 1990. This is all the more concerning given the relative youth of the Saudi population, around half of which is under the age of 25. 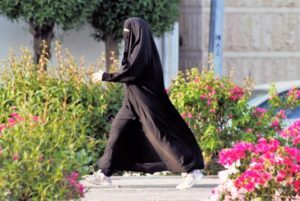 Not only are young women -and indeed young Saudis in general- at a heightened risk for chronic disease and disability during what should be their most productive years, but as they age this will also put increasing strain on the country’s health system. Encouraging and facilitating more physical activity is therefore critically important to improving women’s health, particularly given that they may face a number of challenges when it comes to getting enough exercise. Environmental factors such as weather are a major barrier to outdoor activity, with intense heat the norm for much of the year, but sociocultural dynamics also play a role. While the government has recently loosened restrictions on physical education in girls’ schools and has tried to encourage women to be active more broadly, lack of access to culturally appropriate, temperature-controlled, gender-specific facilities is still an issue. Spaces such as women-only gyms do exist, but they are largely found in cities and are not accessible or affordable to everyone. Additionally, great progress is being made in increasing women’s participation in the workforce, but this comes with its own set of challenges as it can be hard to find the time to exercise while also holding down a job. In this context, a concerted effort is required to create a supportive, enabling environment for women to increase their physical activity. This is necessary not just for addressing the problems of overweight and obesity, but also because a low level of activity is a serious risk factor for poor health in and of itself, regardless of its impact on weight. The Saudi government has already taken positive steps to promote exercise and healthy lifestyles through various public health programs, such as providing nutrition and fitness education, and should continue to support interventions that increase access to exercise facilities and encourage women to see physical activity and a good diet as an essential investment in their long-term health. This is particularly important for married women, who are more likely to be obese and to do less exercise than their unmarried counterparts. Building a broad base of support for these efforts in larger society will also contribute to their success. To foster this, high-profile individuals in public life could become champions for healthy eating and activity, and men also need to be engaged in working towards better health for women, recognizing that is vital to the well-being of their communities as a whole. Health systems likewise have their part to play. For example, based on data collected in collaboration with IHME, health authorities in Saudi Arabia have made a commitment to carrying out detection campaigns for non-communicable diseases, so that they can be more effectively diagnosed and controlled. In order for these efforts to reap their best results, though, one key ingredient is needed: the active participation of women in the design of interventions that are responsive to their needs, wants, and circumstances. In Saudi Arabia, as in other Gulf states, women are making significant strides towards increased participation in education and the workforce, and it is now time to see similar progress with regard to their health. By empowering women to make healthier choices for themselves and their families, supported by their communities, governments in these countries can establish a blueprint for improving women’s health in the Arab world and beyond.